Very nice some time better than the access point"
"Works well. Setup was easy. I always encounter problems during crucial moments in my gaming since I am far away from where the router is. This wifi range extender solved all my problems with frequent..."
"This works well for my arrangement, where i have areas with weak signals." 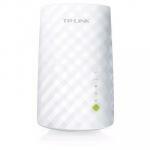 Tired of Wi-Fi dead spots in your home? 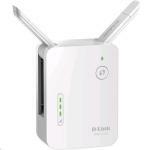 The RE350 range extender expands your Wi-Fi to rooms your router can't reach. Watch movies in 4K and game online with the RE350's high-speed AC1200 Wi-Fi. 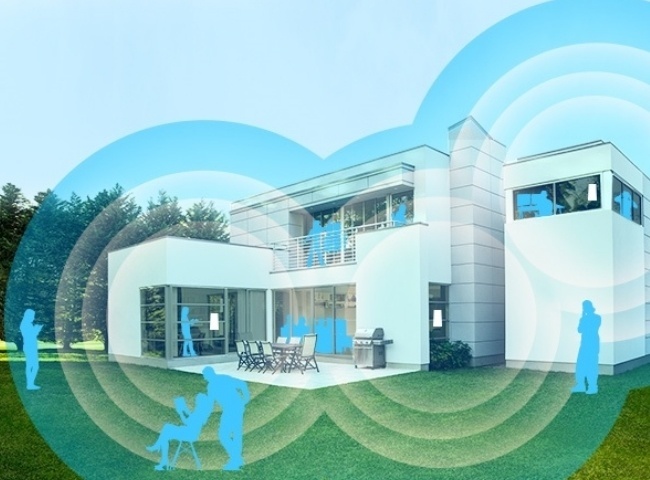 The RE350 lets you keep more devices connected at the same time with its dual 2.4GHz and 5GHz bands. Use the 2.4GHz band to send email and browse the web while gaming and streaming in 4K over its 5GHz band. High-performance external dual band antennas send the RE350's Wi-Fi farther and keep its signal strong throughout your home for more reliable connections. The RE350's Gigabit Ethernet port lets you connect a wired device, like a game console or smart TV, directly to the range extender to create a fast, reliable wired connection. An Intelligent Signal light helps you quickly find the best location to install the RE350. 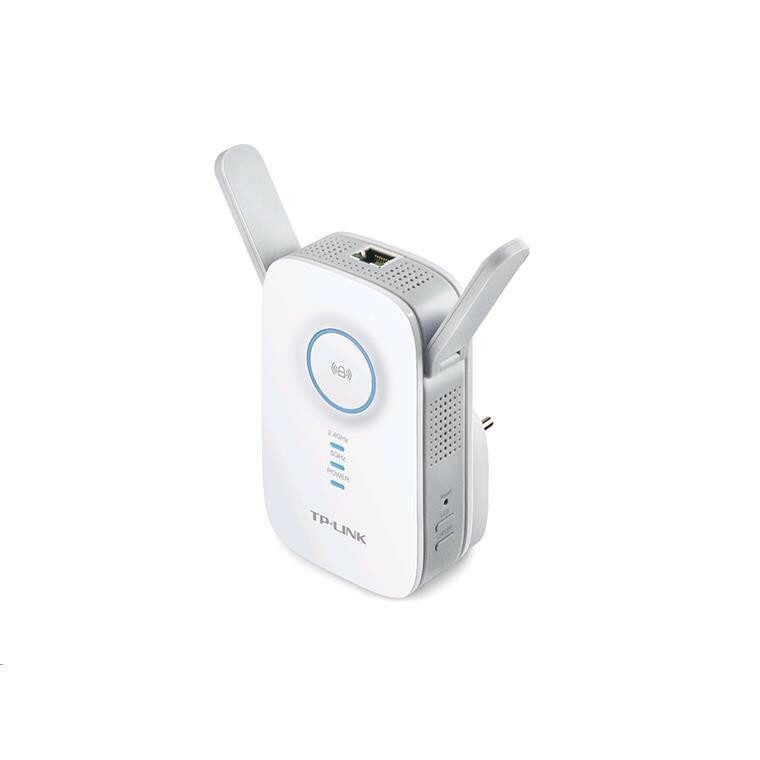 RE350 is more than a wireless range extender, simply plug the Ethernet cable into its Ethernet port, this little gadget can easily turn your wired Internet connection into a dual band wireless access point. If one of the main router's dual wireless bands is fail, or in case the main router can only deliver single band Wi-Fi at 2.4GHz, the RE350 can still provide stable dual-band connections, which allows you to enjoy stable and drop-free experience on all your devices. 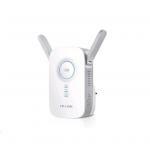 The RE350 works with all Wi-Fi routers. You can use the free Tether app to set up the range extender from any Android or iOS device in minutes. What's more, this feature-rich phone app allows you to enjoy hassle free installation process and advanced network management, all at your fingertips. Microsoft® Windows® XP, Vista or Windows 7/8/8.1/10 Mac® OS, NetWare®, UNIX® or Linux. I am living un à building providing hotspot wifi, but the signal is not very good in my room. Is it possible to connect to this hot post to extend the signal ? Works well. Setup was easy. I always encounter problems during crucial moments in my gaming since I am far away from where the router is. This wifi range extender solved all my problems with frequent disconnections. Now, I am gaming in excellent ping. Plus, I got this item for a bargain price. What a steal.Works well. Setup was easy. I always encounter problems during crucial moments in my gaming since I am far away from where the router is. 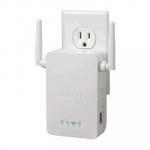 This wifi range extender solved all my problems with frequent disconnections. Now, I am gaming in excellent ping. Plus, I got this item for a bargain price. What a steal. Poor signal, and only at a range of 15 metres! WPS doesn't work at all. Returned and pay almost triple for ASUS Homeplug AV2 PL-AC56 Kit but guess what you paid for is what you get.Poor signal, and only at a range of 15 metres! WPS doesn't work at all. Returned and pay almost triple for ASUS Homeplug AV2 PL-AC56 Kit but guess what you paid for is what you get. This works well for my arrangement, where i have areas with weak signals.This works well for my arrangement, where i have areas with weak signals. For an item as pricy as that I was expecting a better antenna. My main router is 30m away, just one wall and it's getting the signal with difficulties! Not really worth the cost. Otherwise, setting it up is fairly easy and user friendly.For an item as pricy as that I was expecting a better antenna. My main router is 30m away, just one wall and it's getting the signal with difficulties! Not really worth the cost. Otherwise, setting it up is fairly easy and user friendly. Dlink is a good brand, but this range extender performance was very disappointing, Very limited range, the WPS connection did not work. 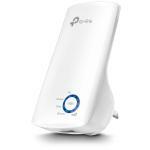 Returned it for a TP-link RE450 far better.Dlink is a good brand, but this range extender performance was very disappointing, Very limited range, the WPS connection did not work. 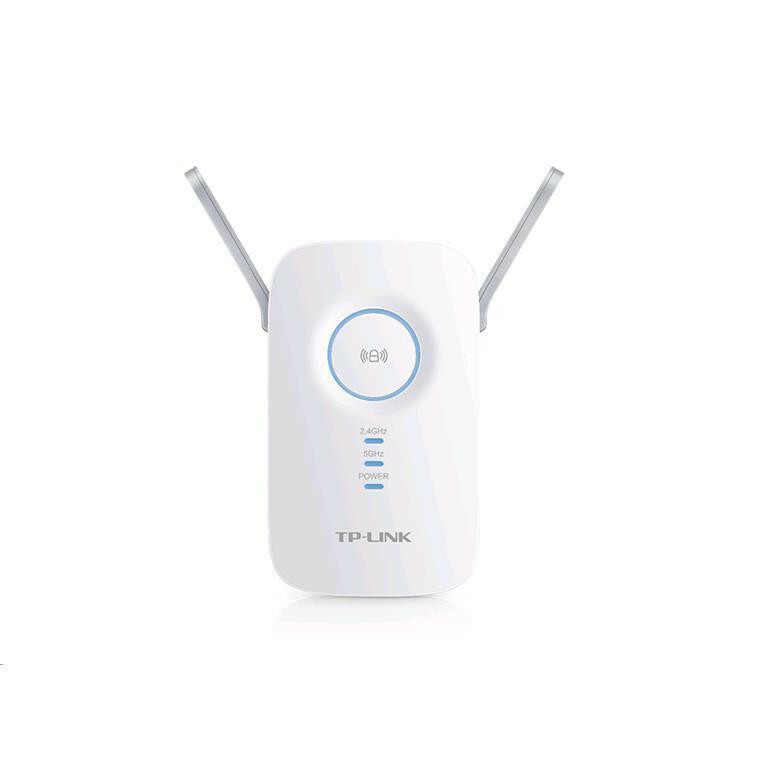 Returned it for a TP-link RE450 far better. Great product. Works very well. Very easy to get up and running. Took 1 minute to sync in and work.Great product. Works very well. Very easy to get up and running. Took 1 minute to sync in and work. Still finding the best place in the house to put it as might be the configuration of our house but it struggles to pick up the signal. But when its working it works well.Still finding the best place in the house to put it as might be the configuration of our house but it struggles to pick up the signal. But when its working it works well. A bit of a bulky product, like is struggles to stay attached to the wall in some older power points. I picked this item because the reviews recommended it and it was a good price. It is a good product, but setup was questionable, So much so I was very close on bringing it back because it wasn't doing what it said it should do. View MoreA bit of a bulky product, like is struggles to stay attached to the wall in some older power points. 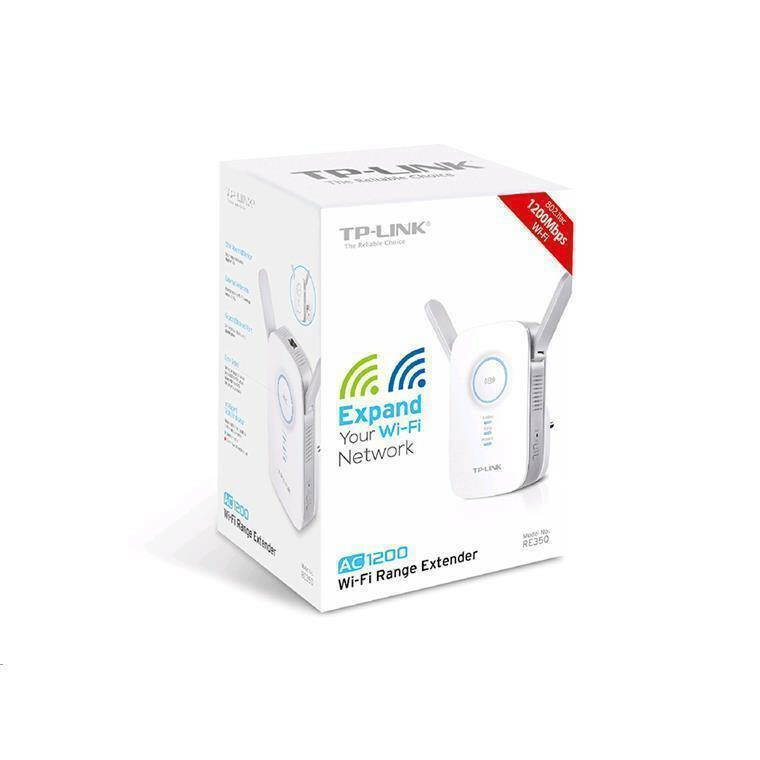 I brought this product to extend my wifi to another part of the house, using the ethernet port to provide the internet, the device did not support this very well (It should be noted the manufactuer even stated you could do this). I would consider it just about impossible to setup for this use for most basic users for this use, if it wasn't for me trying several times over a couple of days I wouldn't have got it setup. The box says just use the app for android or ios, but this isn't the case when using the ethernet port to provide the internet rather than using it as a repeater. You have to plus the device directly into your laptop with the ethernet and go to your standard 192.168 menu, though I had to double check the address using cmd to confirm its location. The device completely disappears from your network when attached by the ethernet port to the rest of the network, its not till you plug in the ethernet directly from device to laptop that you can access it's menus. Fantastic. Turned our terrible connection throughout the house into high speed internet with coverage everywhere. Wish we had bought this sooner.Fantastic. Turned our terrible connection throughout the house into high speed internet with coverage everywhere. Wish we had bought this sooner. First one was DOA, super simple and stress free RMA. Next one worked sweet. easy to setup. made a big difference in the wifi coverage through the house.First one was DOA, super simple and stress free RMA. Next one worked sweet. easy to setup. made a big difference in the wifi coverage through the house. Very good product. Easy as to set up. Interesting that the Router speed test revealed 100mbps hard wired to PC which is my actual plan speed. After connecting Expander tested at 65mbps so great improvement.Very good product. Easy as to set up. Interesting that the Router speed test revealed 100mbps hard wired to PC which is my actual plan speed. After connecting Expander tested at 65mbps so great improvement.